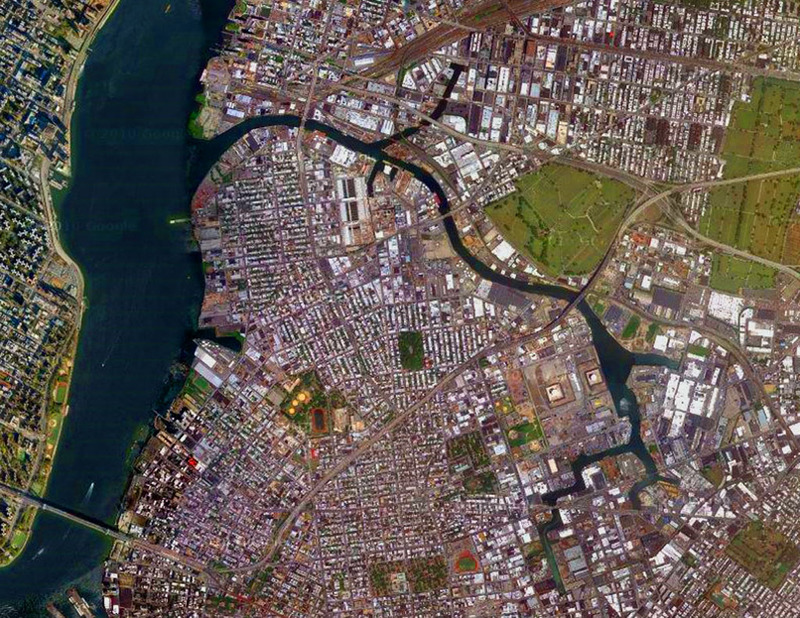 Newtown Creek is a massively contaminated Superfund site running through the Greenpoint, Williamsburg and Bushwick neighborhoods of Brooklyn, New York. 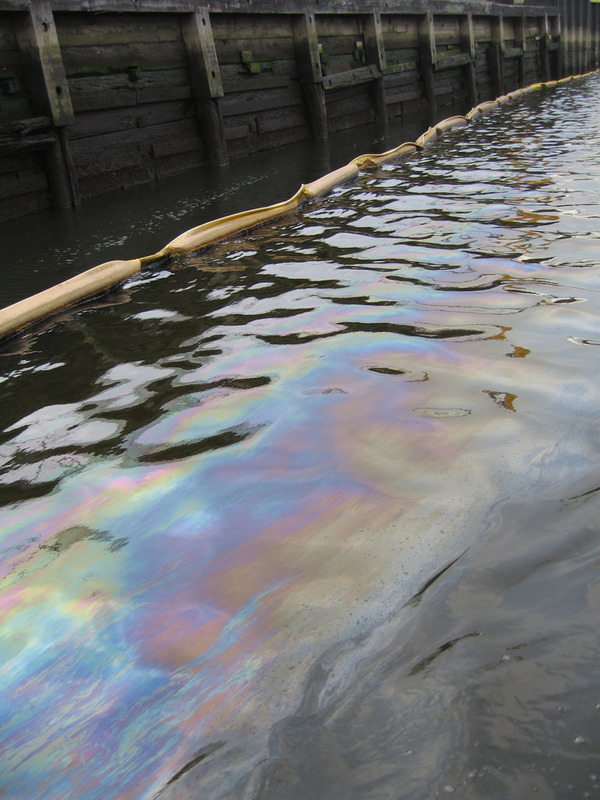 For the augmented reality (AR) artwork "Newtown Creek (oil spill)" I have created a 3D object from the outline of the creek, textured it with an irridescent oil spill and geolocated it at Meeker Avenue and Gardner Avenue in Greenpoint, Brooklyn, one of the few places with street access to Newtown Creek. 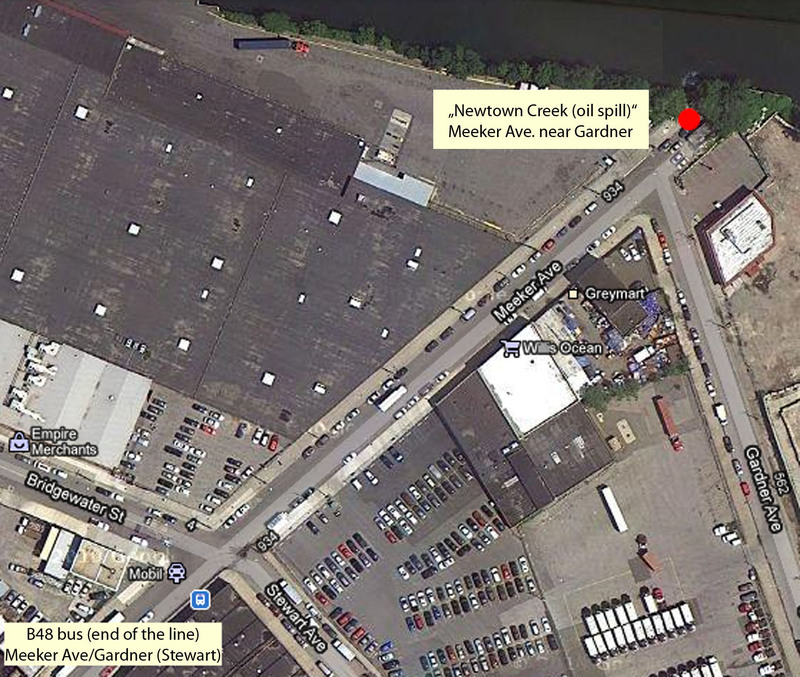 "Newtown Creek (oil spill)" is only viewable in the display of a smartphone (Android, or iPhone 3GS & higher). On your smartphone download and install the free layar app, go to one of the sites where the artwork is located, and search for "ar newtown creek". It takes a minute or two to download - try turning around and looking for it in all directions, up and down. AR artworks are shy and take a while to show up! One edition of the artwork will be on view in the gallery for the duration of the show. 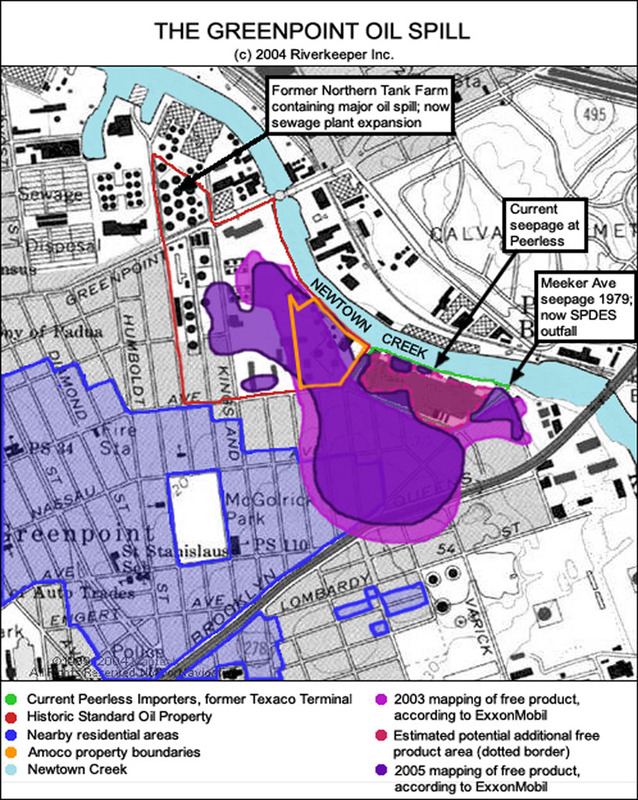 The primary copy of the artwork will be installed permanently at Meeker & Gardner Avenues in Greenpoint/Brooklyn, a rare point where there is street access to Newtown Creek. 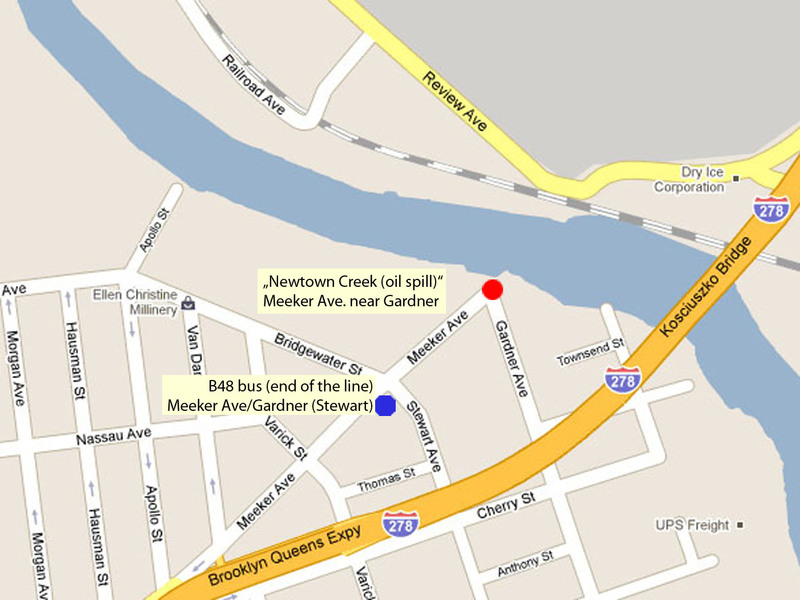 A representative of the water quality advocacy group www.riverkeeper.org will meet us at the creek-side location of "Newtown Creek (oil spill)" to tell us about the history of the creek and current measures to clean it up. 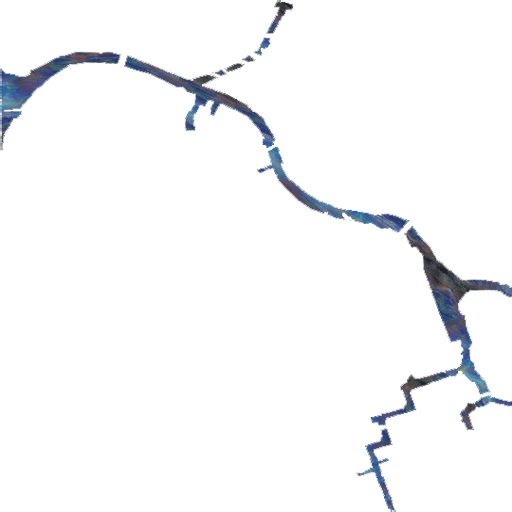 extensive information on the history of the creek and the fight to restore its water quality. 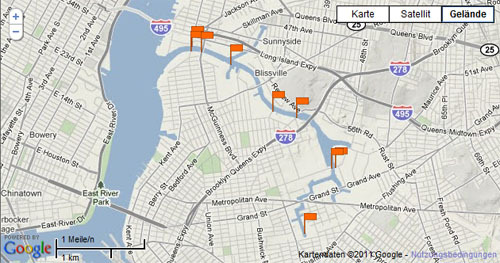 with more information on parks and access points along the river.